Renewable energy sources are set to represent almost three quarters of the $10.2 trillion the world will invest in new power generating technology until 2040, thanks to rapidly falling costs for solar and wind power, and a growing role for batteries, including electric vehicle batteries, in balancing supply and demand. Solar and wind dominate the future of electricity: 72% of the $10.2 trillion spent on new power generation worldwide to 2040 will be invested in new wind and solar PV plants. Solar energy’s challenge to coal gets broader: Solar is already at least as cheap as coal in Germany, Australia, the U.S., Spain and Italy. The levelized cost of electricity from solar is set to drop another 66% by 2040. By 2021, it will be cheaper than coal in China, India, Mexico, the U.K. and Brazil as well. 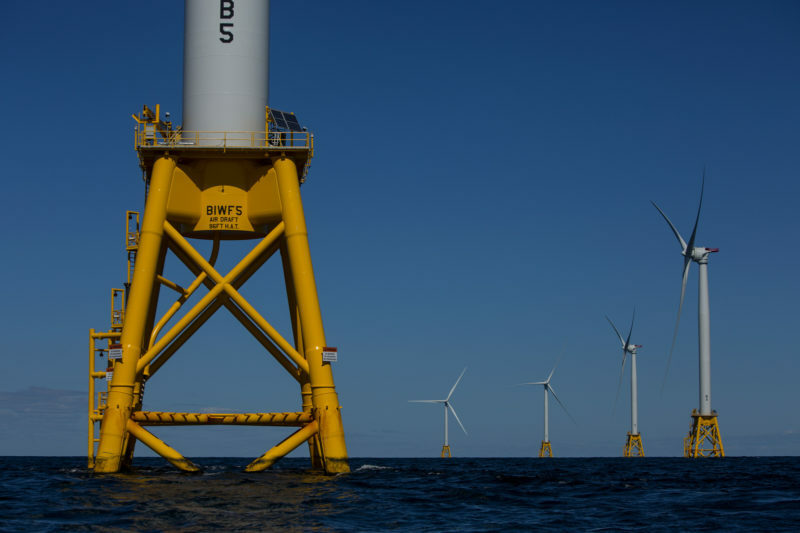 Onshore wind costs fall fast, and offshore falls faster: Onshore wind levelized costs will fall 47% by 2040, thanks to cheaper, more efficient turbines and advanced OPEX regimes. In the same period, offshore wind costs will slide a whopping 71%, helped by experience, competition, and economies of scale. China and India lead in energy investment: They account for 28% and 11% of all investment in power generation to 2040. Just under a third of Asia Pacific’s investment in energy will go to wind, a third to solar, 18% to nuclear and 10% to coal and gas. Batteries and flexibility bolster the reach of renewables: Utility-scale batteries increasingly compete with natural gas to provide system flexibility at times of peak demand. In conjunction with small-scale batteries, this will help renewable energy reach 74% penetration in Germany, 38% in the U.S., 55% in China and 49% in India by 2040. Electric vehicles bolster electricity use: In Europe and the U.S., EVs will account for 13% and 12% of electricity demand by 2040. Charging EVs flexibly, when renewables are generating and wholesale prices are low, will help the system adapt to intermittent solar and wind. Homeowners’ love of solar grows: By 2040, rooftop PV will account for as much as 24% of electricity in Australia, 20% in Brazil, 15% in Germany, 12% in Japan, and 5% in the U.S. and India. This, combined with the growth of large-scale renewables, reduces the need for existing large-scale coal and gas plants. 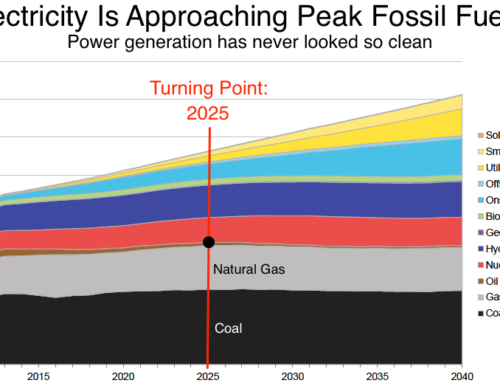 Coal’s point of no return: Sluggish demand, cheap renewables and coal-gas fuel switching slash coal use by 87% in Europe and 45% in the U.S. by 2040, while coal generation continues to grow in China but reaches peak in 2026. A mere 18% of planned new coal power plants will ever get built. That means 369GW of projects stand to be cancelled. Gas is a transition fuel, but not in the way most people think: Gas-fired power sees $804 billion in new investment and 16% more capacity by 2040. But save for the Americas, where gas is plentiful and cheap, gas plants will mainly act as one of the flexible technologies needed to help meet peaks and provide system stability. Global power sector emissions peak in 2026: CO2 emissions from power generation increase by a tenth before peaking in 2026, then falling faster than we previously estimated, lining up with China’s peak coal generation. However, a further $5.3 trillion investment in 3.9TW of zero-carbon capacity would be required to keep the planet on a 2-degrees-Celsius trajectory.